Compact, lightweight, high-tech and high-performance aircraft radios and transponders manufactured in Germany. 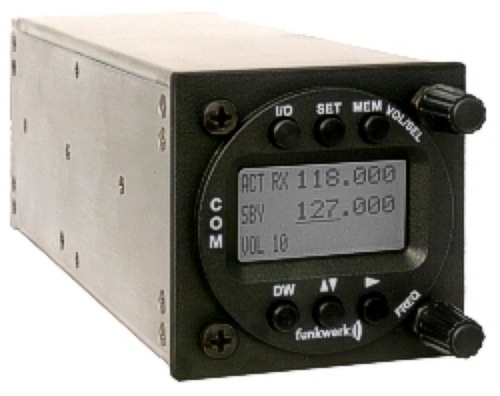 compact aircraft radios and transponders and other avionics. 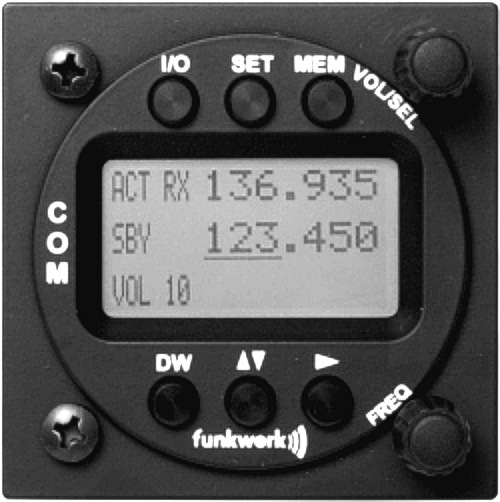 The ATR833-LCD is a complete solution for radios in small aircraft with the new channel separation of 8.33kHz. The channel spacing can be switched between 25kHz and 8.33kHz. The built-in VOX-controlled intercom operates up to 4 microphones and all headsets are separately adjustable. The user can define up to 100 named frequencies to build up an own database. 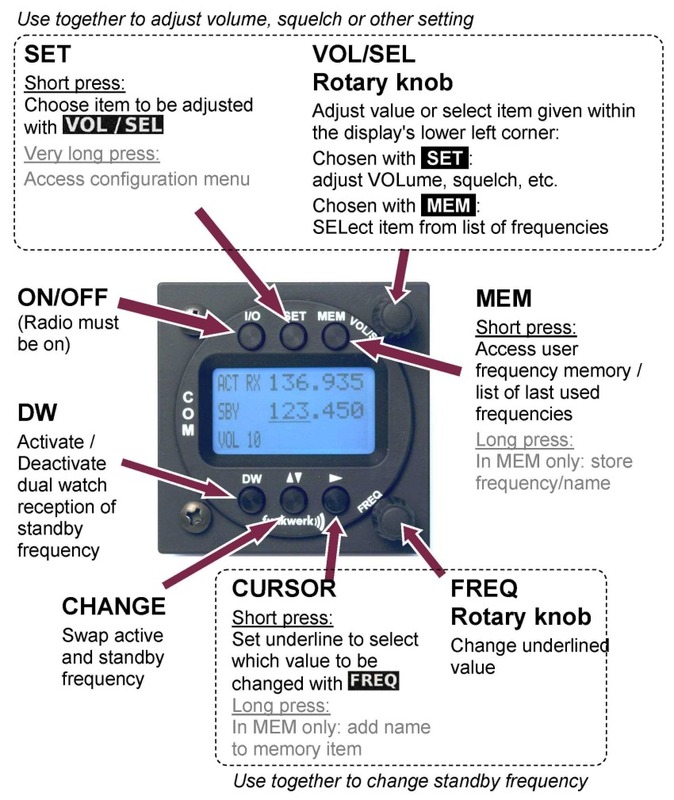 All stored frequencies can be searched via name. 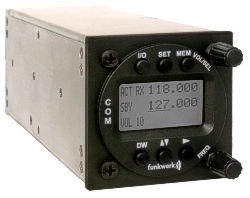 The ATR833-LCD transceiver fits in a standard 2.25" instrument panel hole and is 6.3" long (without connectors -- allow 2" for connectors and cables). 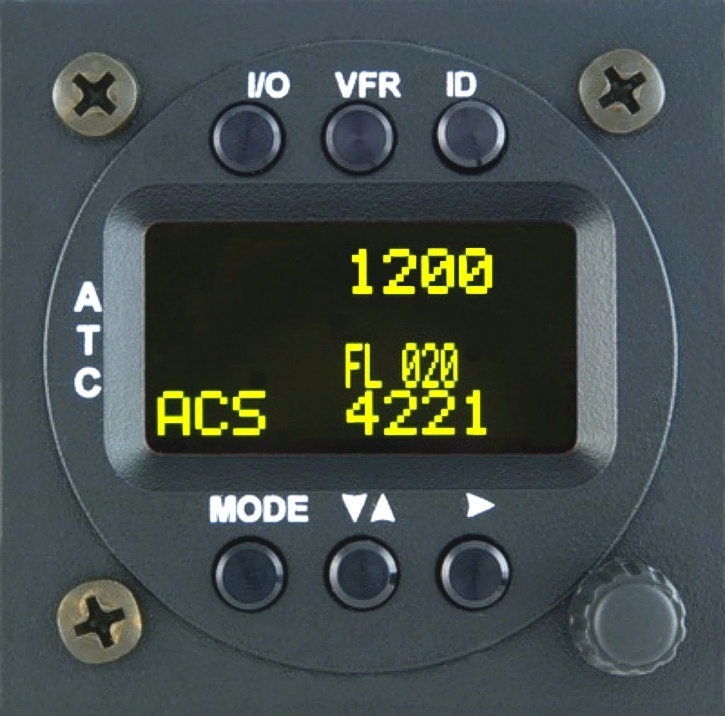 The ATR833-OLED is a complete solution for radios in small aircraft with the new channel separation of 8.33kHz. The channel spacing can be switched between 25kHz and 8.33kHz. The built-in VOX-controlled intercom operates up to 4 microphones and all headsets are separately adjustable. The user can define up to 100 named frequencies to build up an own database. All stored frequencies can be searched via name. The OLED-display gives perfect readability under all lighting conditions. 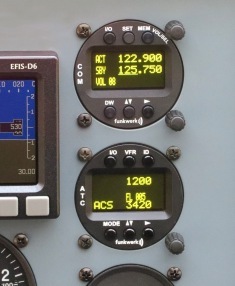 The ATR833-OLED transceiver fits in a standard 2.25" instrument panel hole and is 6.3" long (without connectors -- allow 2" for connectors and cables). 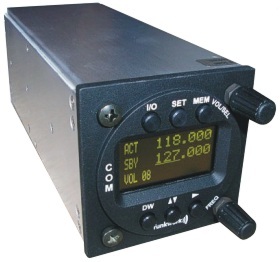 The TRT800H-LCD is a 250 watt Mode-S transponder-encoder for all aviation applications from ultralight aircraft to gliders, light sport aircraft, experimental aircraft, and General Aviation aircraft. It offers classical A/C modes of operation plus full Mode-S support. 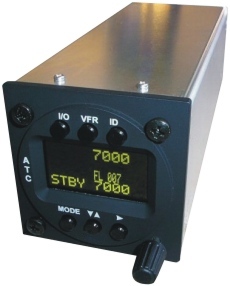 The TRT800H-LCD advantages are small dimensions and a built-in altitude encoder. The wiring harness is included which helps make installation extremely simple and easy. These features also reduce installation cost and weight. 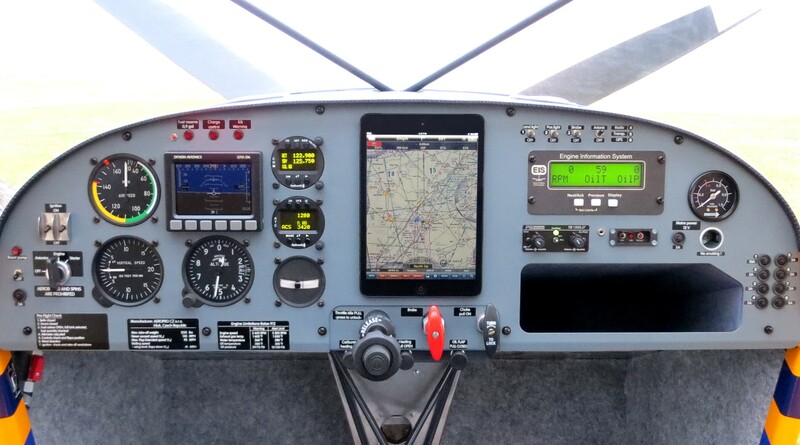 The TRT800H-LCD may be used up to 35,000 ft actual operating altitude and a maximum true airspeed 250 knots. 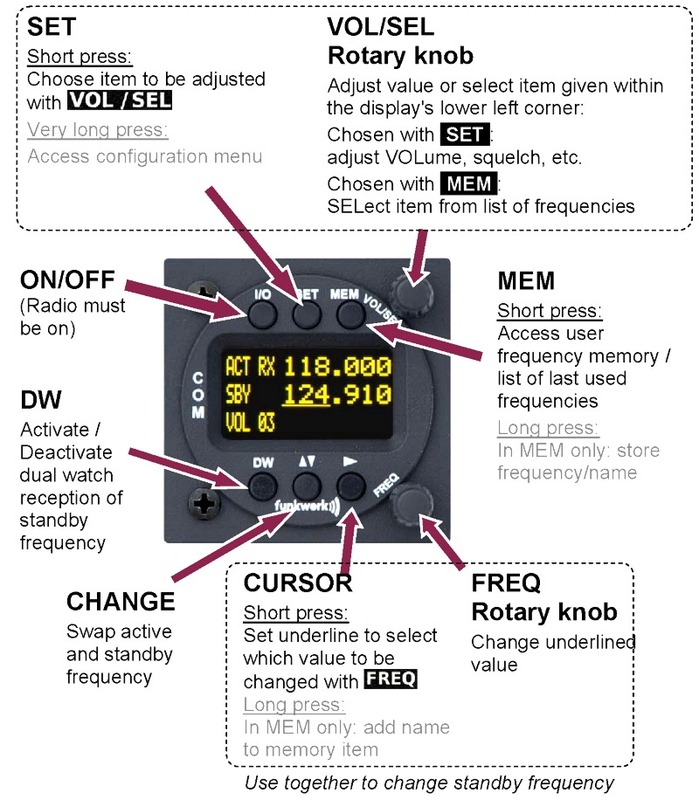 The TRT800H-LCD has an LCD display -- and makes an excellent companion to our ATR833-LCD radio. • dimensions: 2.25" x 2.25" x 6.3"
The TRT800H-OLED is a 250 watt Mode-S transponder-encoder for all aviation applications from ultralight aircraft to gliders, light sport aircraft, experimental aircraft, and General Aviation aircraft. It offers classical A/C modes of operation plus full Mode-S support. The TRT800H-OLED advantages are small dimensions and a built-in altitude encoder. 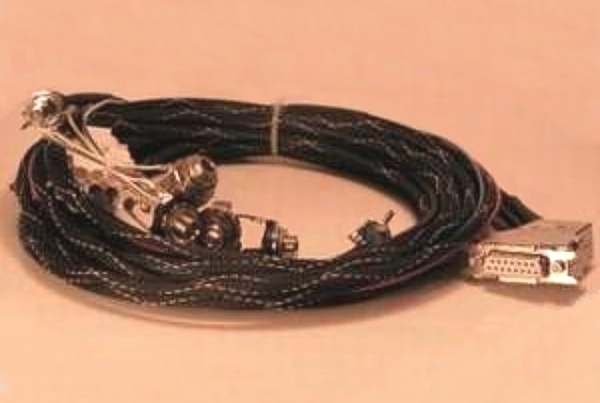 The wiring harness is included which helps make installation extremely simple and easy. These features also reduce installation cost and weight. The TRT800H-OLED may be used up to 35,000 ft actual operating altitude and a maximum true airspeed 250 knots. The TRT800H-OLED has a high-tech, easy-visibility OLED display -- and makes an excellent companion to our ATR833-OLED radio. 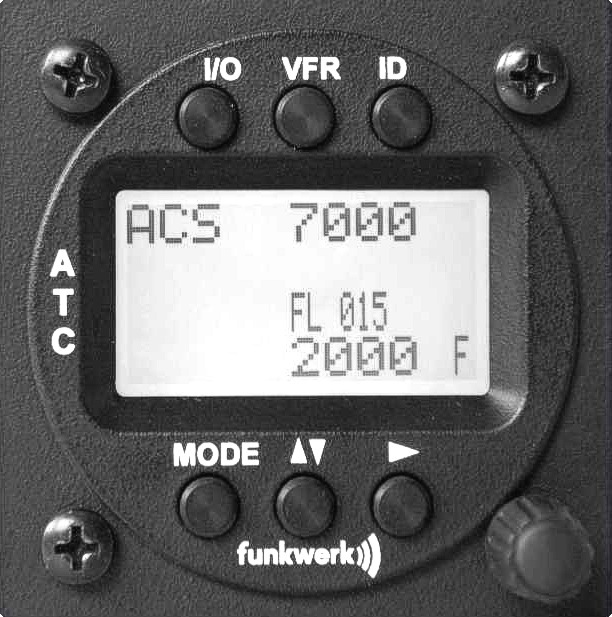 Funkwerk Avionics GmbH is part of the German Funkwerk Group which develops and produces professional communication systems used in various areas of transportation. Further information can be found at www.funkwerk-avionics.com. 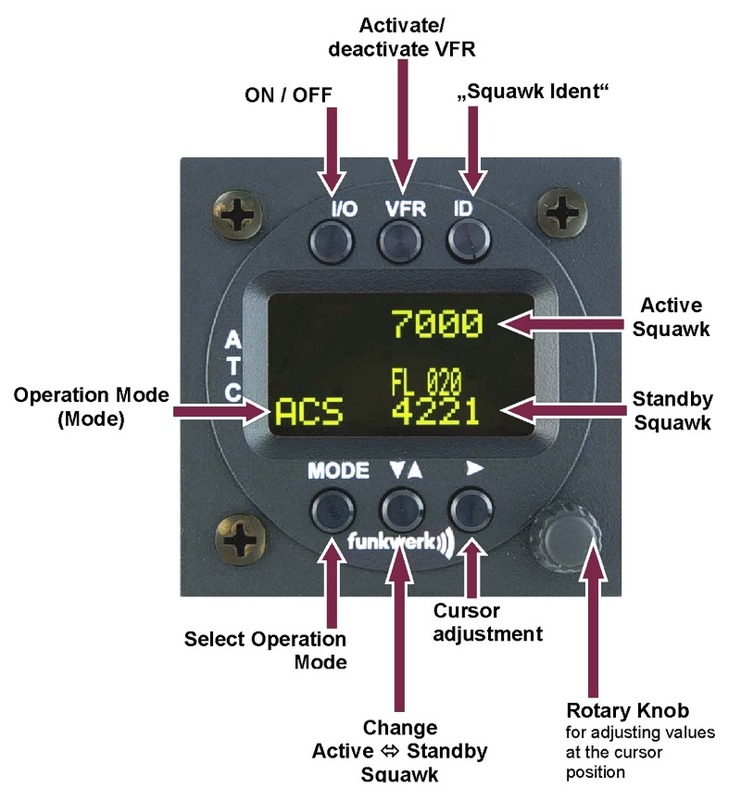 Funkwerk Avionics GmbH is an EASA approved production and maintenance organization (EASA Part 21G/Part 145). It develops, produces and sells avionics equipment and avionics system solutions in the areas of communication, navigation and displays as well as offering the TRT Mode-S transponders and ATR-series VHF radios for general aviation. 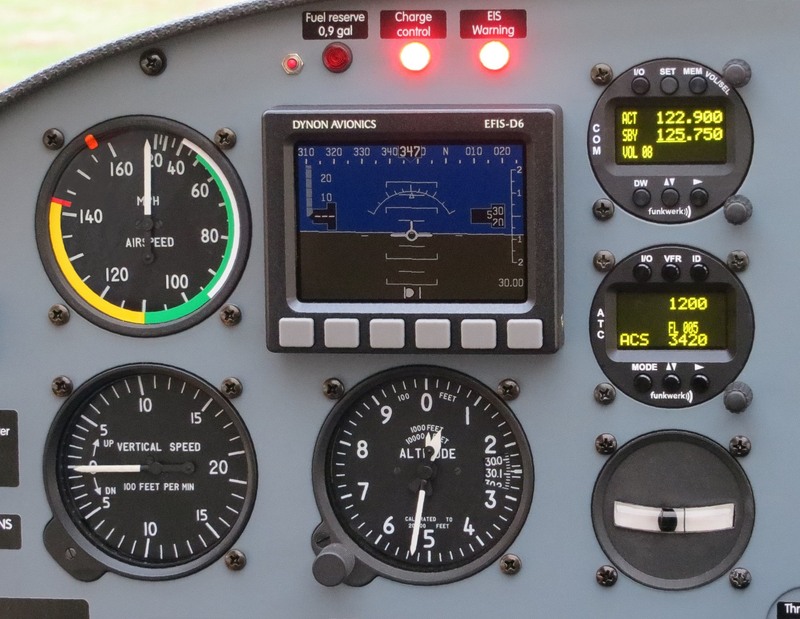 In our Aerotrek light-sport aircraft we use the ATR833-OLED radio, TRT800H-OLED transponder-encoder, and PM1000II intercom. In our experience, this is the very best equipment for our aircraft. 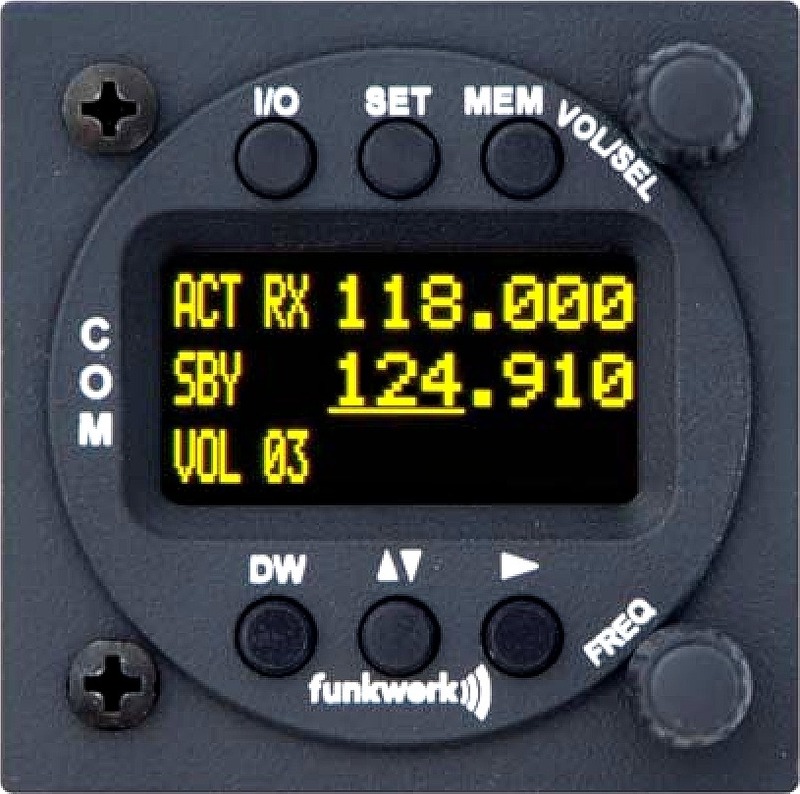 The Funkwerk Avionics radio and transponder OLED displays have a high-tech look and provide great visibility in all lighting conditions. The ATR833-OLED radio has the "dual watch" feature (so the standby frequency can also be monitored) which is very useful and improves safety in many situations. 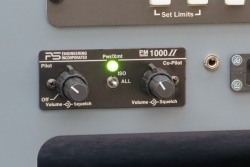 The PM1000II is a great intercom with separate volume and squelch controls, so each person can makes adjustments to have what works best for him -- and with the PM1000II intercom when one person talks only that one mic goes "hot" which minimizes background noise (almost all other intercoms have at least twice as much background noise because with those other intercoms when one person talks both mics are hot). The TRT800H-OLED is a high-performance (250w) transponder with digital flip-flop control -- the pilot adjusts the standby squawk code and then pushes a button to switch the standby code to be the active code. 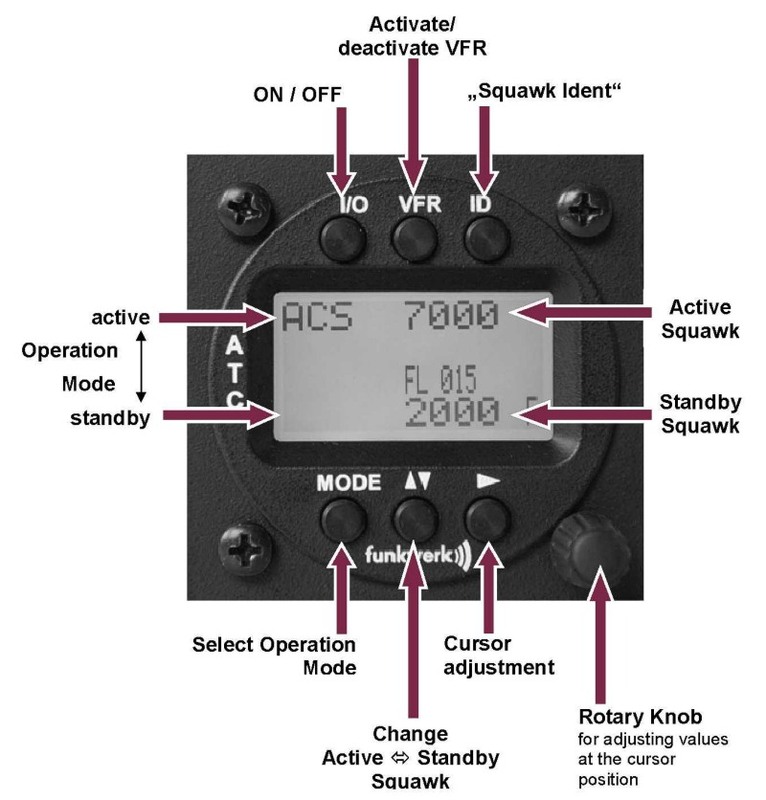 This is much better than transponders that require you to adjust the active squawk code. 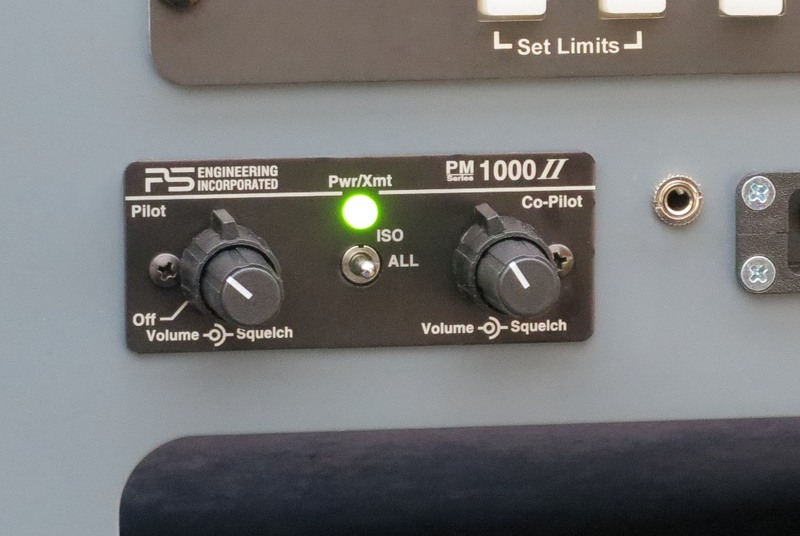 Of course, one of the biggest advantages of the 2.25" round radio and transponders is they use a minimum amount of panel space and they are installed without having to install a radio or transponder "tray." The TRT800H-OLED transponder has a built-in altitude encoder and is all self-contained -- which makes installation the easiest and quickest-possible. The ATR833-OLED/TRT800H-OLED radio/transponder combination is top-quality German-manufactured equipment that is overall the best as well as the best-looking choice for our aircraft instrument panels.